Install the bracket to fender frame. Do not install on top of fender lip. 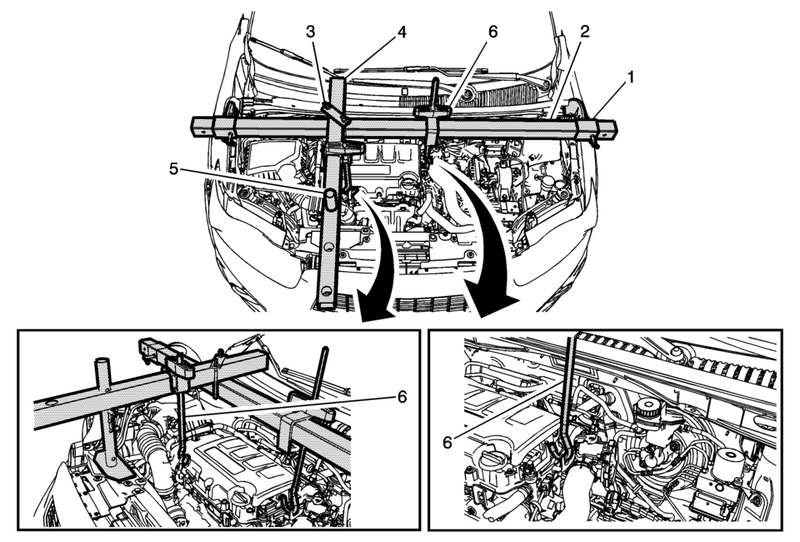 Adjust the length of the strut tower support assembly. Use a grade 10.9 bolt to install the engine lift bracket. If the engine is not equipped with engine lift bracket, install J-36857 in place.